After an intense but highly rewarding Accounting/Audit meeting yesterday morning and then a wonderful lunch, I was motivated to get back to the Supernova Quilt. I allowed myself an afternoon of sewing as I knew I would be on the computer most of the day today. 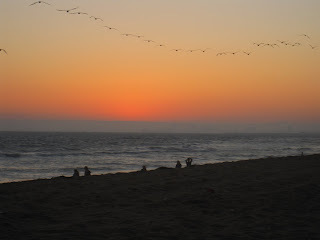 Last night my younger son and I attended a bonfire at Bolsa Chica State Beach with a wonderful group of friends. We are connected by our boys, most of them friends since Kindergarten or slowly collected during their elementary years and are now enjoying the summer before eighth grade begins. All throughout the four hours we were at the beach these thirteen year old boys acted like supernovas - stellar explosions that light up our lives. 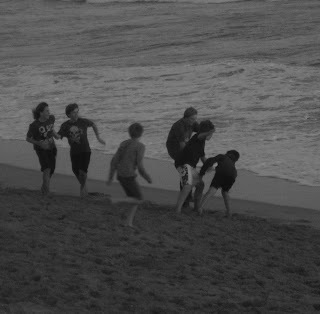 It was windy and relatively cold but these crazy boys raced around playing Frisbee, getting wet and playing hide n seek. We even had to order them to come in for S'mores. 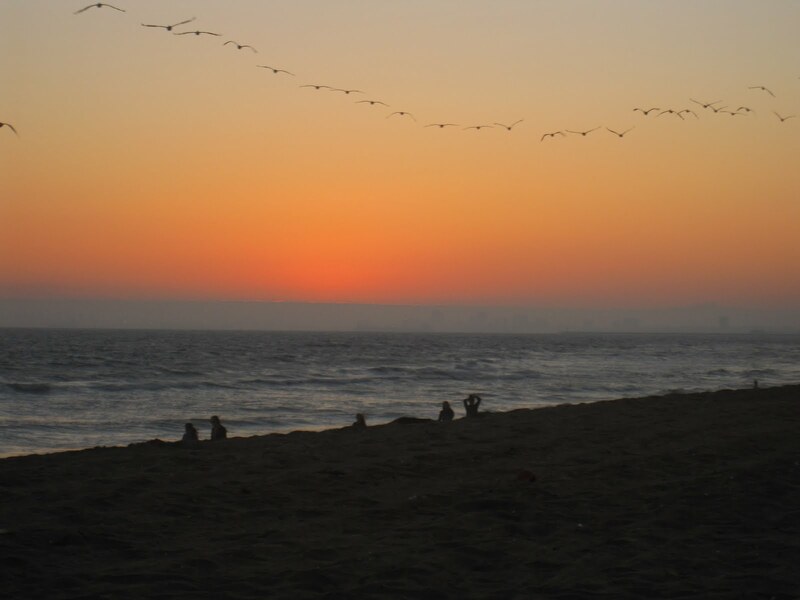 Pelicans flying home for the evening. At one point while in conversation with my girlfriends, I turned and spied a quilt...of course I had to ask about it. 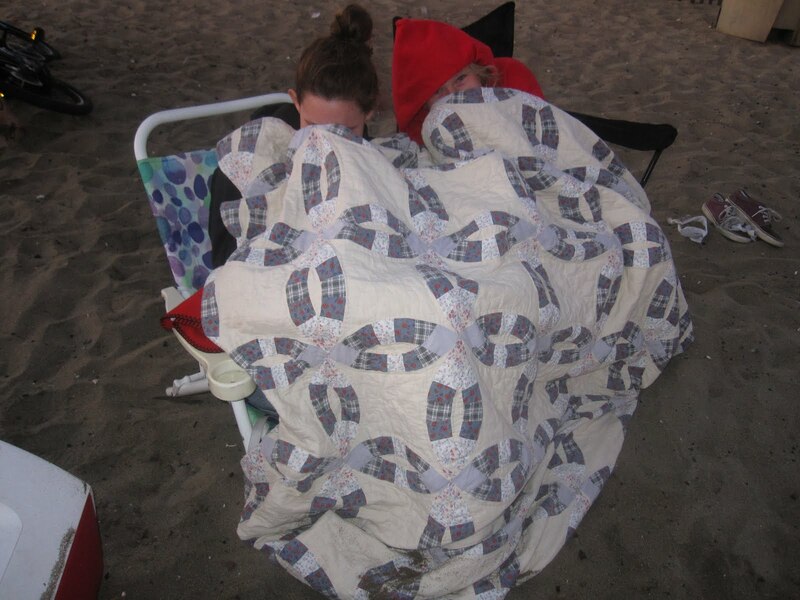 I had an amusing moment when I first arrived at the bonfire as most of my girlfriends asked me about what kind of quilt I was currently working. 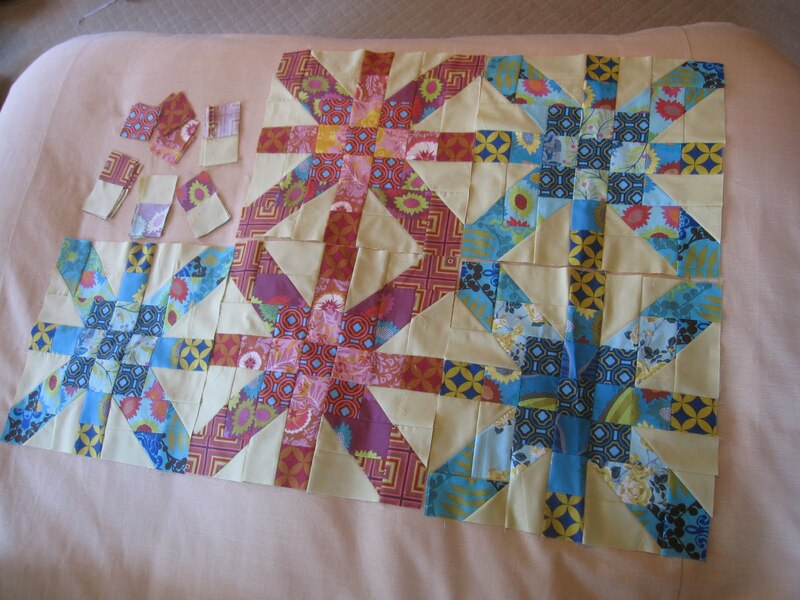 This really surprised me as I did not realized how much quilting was becoming attached to how those in my daily life think of me. My son and I had a great time and arrived home exhausted and ready for sleep. Wonder if he dreamed of supernovas last night. Your supernova blocks look great! I love your fabric Susan. You are creating wonderful memories. Oh golly, I remember those Bolsa Chica Bonfires when my husband was alive. 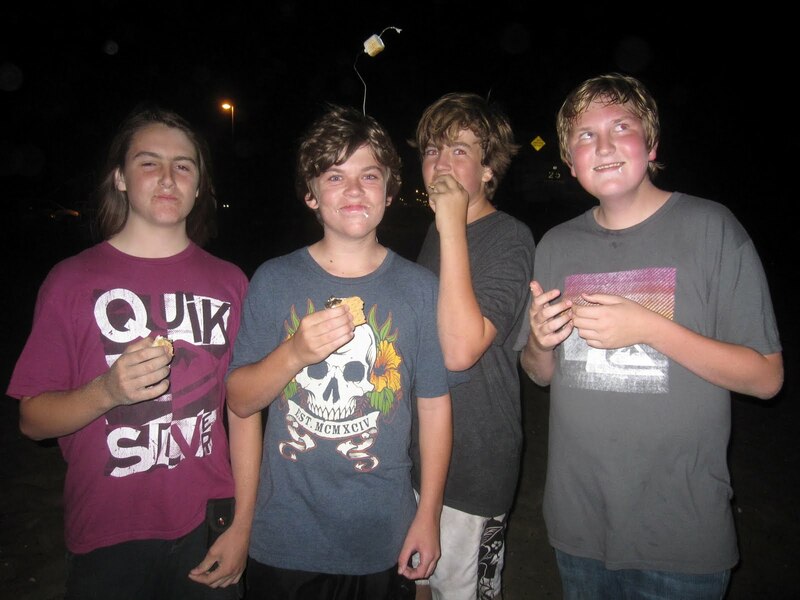 Hot dogs and smores. And, good times! oh, just love your Supernova! Your supernova looks great. I have a 2 year old son and I hope he can have deep frienships that last throughout his life. your son seems to be on his way to doing just that.